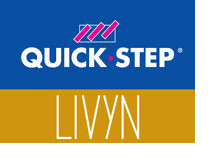 Top branded, highest quality flooring at trade prices (to the public) from Floorbay – that’s Livyn alright! Enjoy your Quick-Step vinyl floor for many years to come thanks to the revolutionary Scratch Guard technology. This ‘Scratch Guard’ layer ensures superior protection from scratches.